A type of current that alternates from positive to negative at regular intervals. AC is the standard type of current used in electrical distribution systems by utility power companies due to the ease that it travels through cabling. Electrical wall sockets in nearly all structures served with utility power provide AC power. The load power as expressed in VA or KVA. This value is usually greater than real power due to circuit reactance. A spark resulting when current flows between two points that are not connected by an intentional conductor. The unit of measure for electrical current. A group of cells connected in such a way that more current and/or voltage is delivered than from one cell. See direct current. An AC power failure lasting anywhere from a few cycles to several hours or even days in duration. A discreet electrical device that has two electrodes and an intervening insulator (a dielectric). Category 5 is a description of network cabling that consists of four twisted pairs of copper wire terminated by a RJ-45 connector. A combination of two metal plates suspended in an electrolyte which, when connected to an external circuit, causes a current to flow. The voltage that must be applied to storage batteries to maintain their maximum charge. The voltage present when measuring between neutral to ground. A device that changes DC to AC or a device that changes AC to DC. The flow of electricity in a circuit as expressed in amperes. This term describes the frequency of alternating current. Frequency is measured in "hertz" which is synonymous with cycles per second. A short duration brownout condition, usually in response to inductive loads starting and stopping. See brownout. A type of electricity where current flows in one direction, without reversal such as from a battery. Any deviation from the normal sine wave for an AC quantity. Alternating waveforms with a square or rectangular wave shape can be said to carry some amount of distortion. Typically, a good AC supply waveform will carry 5% THD (total harmonic distortion) content or less. See harmonics, total harmonic distortion. See online double conversion UPS. The voltage at which a device fails to operate properly and/or safely. Most computer systems will reboot, reset, or place save data at risk when line voltage falls below approximately 95-100VAC. Ratio of output energy to input energy for a device. Often refers to the amount of energy lost in the form of heat during DC to AC inverter operation. Acronyms for four types of electrical interference: Electromagnetic Interference, Radio Frequency Interference, Electromagnetic Pulse, and Electrostatic Discharge. All of which are unwanted signals common in noisy electrical environments. The amount of electrical energy absorbed by a device measured in joules. Ethernet is a widely used local-area network (LAN) protocol. Ethernet is a fast and reliable network solution. Expansion card used to connect a computer to a network. Energy that is fed from the output of a circuit back to its input. An electronic device that blocks the passage of certain frequencies while allowing other frequencies to pass. The number of cycles (oscillation positive and negative) completed in one second. In North America, utility power completes 60 cycles per second or 60Hz. Acronym for File Transfer Protocol. A standard way to transfer files between computers. The method has built-in error checking. FTP often refers to a standard way of transferring many types of files over the Internet. A device that automatically self-destructs when the current passing through exceeds the rated value of the fuse. A frequency that is a multiple of the fundamental frequency. For example, 120 Hz is the second harmonic of 60 Hz, 180 Hz is the third harmonic, etc. Excessive harmonic content that distorts the normal sinusoidal wave form is harmonic distortion. Refers to the frequency of alternating cycles in an AC waveform per second. In North America, utility power is provided at 60Hz. In Europe and most of the rest of the world, utility power is provided at 50Hz. See frequency deviation. Refers to the feature that allows the battery of a UPS to be changed (due to age or defect), without taking the unit (and its attached load) out of service. Basic networking device that connects multiple computers together. Measured in ohms, impedance is the total opposition to current flow in a circuit where alternating current is flowing. Electrical load whose current wave form lags the voltage waveform thus having a lagging power factor. Some inductive loads such as electric motors have a large start-up current requirement. See Inrush Current. An electrical device consisting of a conductor that is coiled. Inductors can be used to block high-frequency transients. As deployed in surge suppression strips. The initial surge of a current into a load before it attains normal operating condition. 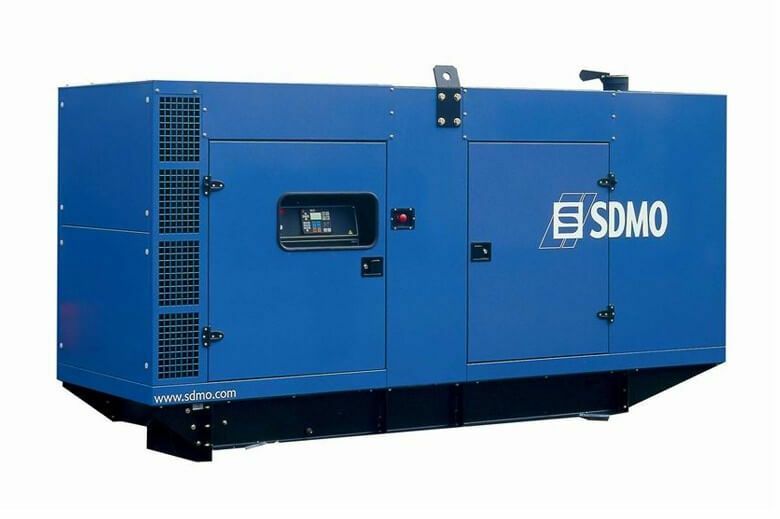 Certain types of loads, such as motors, compressors, air conditioners, power tools and other large loads require 2-5 times the energy on start-up than they do continuously. Incandescent, filament style light bulbs tend to dim briefly when a motorized load, like a window air conditioner, pulls a high degree of inrush current on start-up. The subassembly of a UPS that converts DC power to AC power. Acronym for Internet Protocol. IP is an address of a computer or other network device on a network using IP or TCP/IP. For example, the number "166.70.10.23" is an example of such an address. These addresses are similar to an address used on a house and help data reach its appropriate location on a network. A transformer used to reduce or eliminate noise and create the equivalent of a dedicated or isolated ground circuit. These transformers are included in many larger UPS systems of 3kVA or larger. Standalone isolation transformers serve the function of removing common mode noise. See common mode voltage. Measure of electrical energy, also refers to a surge suppressor’s ability to absorb energy. An acronym that stands for kilovolt amperes. This is a unit of measure of apparent power. (1 kVA = 1000VA) See VA.
An acronym that stands for kilowatt (a unit of measure of real power). 1 kW = 1000 watts. See watt. Acronym for Local-Area Network. A LAN is a network that has networking equipment and/or computers in close proximity to each other capable of communicating, sharing resources and information. A UPS design based on a standby system with enhancements. Line interactive systems still switch to battery power when a redout occurs, but instead of also switching to battery power when brownouts or over voltages occur, a tap switching voltage regulation circuit activates to maintain usable power at the output continuously, without consuming battery power. The main benefit is that connected equipment can run straight through extended brownouts or over voltages without draining the battery. Line Interactive systems are widely considered mid-level products between basic standby UPS systems and higher end online UPS systems. An electrical load device, which, in steady state operation, presents an essentially constant load impedance to the power source throughout the cycle of, applied voltage. Examples: space heaters and incandescent light bulbs. Linear loads included electronic devices that do not require heavy inrush currents. See inductive load, non-linear load. The electrical device that uses power supplied by the source. Acronym that stands for Metal Oxide Varistor. MOVs utilize the nonlinear resistance property of zinc oxide to form a variable resistor, whose resistance to current drops as voltage increases. Virtually all AC surge suppression strips employ MOV's as their main surge suppression component. See shunt. One of the conductors of a three phase system. The Neutral wire carries the entire current of a single-phase 120 volt circuit and the resultant current in a three-phase system that is unbalanced. Unwanted electrical signals, which produce undesirable effects in the circuits of the control systems in which they occur. See electrical interference. A nominal value assigned to a circuit or system for the purpose of conveniently designating its voltage classes (120VAC, 208/240VAC, 12VDC, 24VDC, and 48VDC). For example, a 120V wall socket will rarely measure exactly 120 volts. 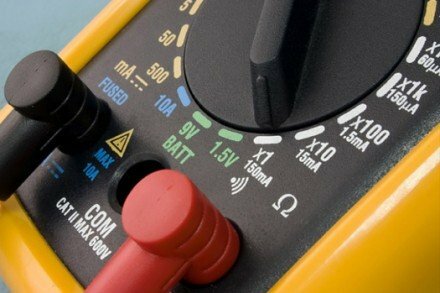 The nominal (or named) voltage of 120V actually refers to a range of usable voltages centered around 120 volts. See CBEMA curve. Electrical load which draws current discontinuously or whose impedance varies throughout the cycle of the input ac voltage waveform. Electronic devices that pull a great deal of start-up current. Typically involves motors, heating elements or compressors. 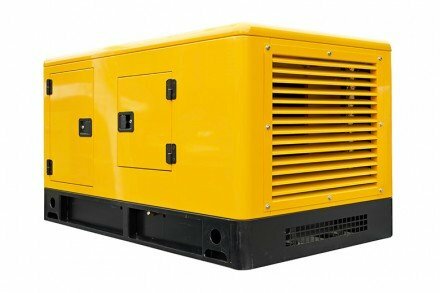 Examples: air conditioners, power tools, compressors, etc. See inductive load & non-linear load. A voltage that appears between or among active circuit conductors. A 120VAC-wall receptacle should yield full nominal voltage between hot and neutral line connections. See common mode. Another term for Standby UPS. See Standby UPS. A high end UPS design where output power is completely regenerated and passed to connected equipment with zero transfer time between line and battery power. Incoming AC power is converted to DC and then re-converted back to AC by a continuous duty inverter system. The dual conversion process completely regenerates the power flowing through an on line UPS, completely removing all surges, spikes, noise and other irregularities, providing pure, frequency regulated sine wave output at all times. 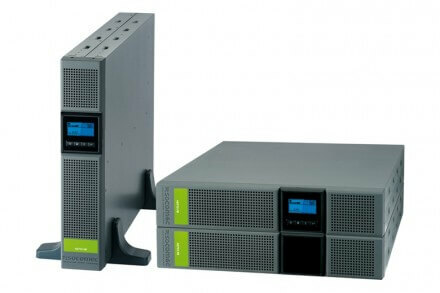 Online, double conversion UPS systems are widely considered the best possible type of UPS available. A long-term loss of voltage resulting from a localized utility failure. When used to describe a specific type of extended variation, over voltage refers to a voltage having a value of at least 10% above the nominal voltage for any lasting period of time. This occurrence may last a few seconds, or several hours to a continuous condition depending on the site and prevailing conditions. Over voltage differs from a surge because it's a condition of less severe voltage levels that lasts at minimum for several cycles. A measurement of an AC waveform of the highest peak-to-peak voltage present on the waveform. A properly synthesized 120V nominal AC waveform will have a peak voltage (also known as "peak to peak" voltage) of approximately 170 volts. A term used to describe the timing between two or more events tied to the same frequency. Refers to power protection equipment with a plug and receptacles whereby users without knowledge of electrical wiring can install and properly protect equipment. The ratio of active power (watts) to apparent power (VA). Most computer related equipment has a power factor between .6 and .8. Power factor is the spread between VA and wattage. VA x power factor = watts. See formulas. Describes an alternate AC waveform to sine wave and PWM sine wave. Considered a mid-level waveform by most, desirable for all but the most sensitive of critical of computing applications. Rather than the smooth arc typically associated with a sine waveform, a PWM sine wave offers several rectangular steps to help mimic the energy supply of a sine wave. During the 1990's most manufacturers of standby and line interactive UPS systems began providing products with PWM sine wave output. See PWM sine wave and sine wave. Duplicating devices to the extent that if one were to fail there would be an identical unit to replace the failed unit. Often employed in mission critical networking systems as "mirrored" or "redundant" servers where both machines are performing identical tasks. If one of these servers fails, the application will not cease functioning. The time it takes for a suppressor to sense a surge or spike and react to it. A telephone connector that holds up to eight wires. RJ-45 plugs and sockets are used in Ethernet and Token Ring Type 3 devices. Rolling Brownouts - A condition where power utilities are forced to purposely create under voltages and redouts over their service area to free up capacity so that the entire system is not at risk for power failure. When power usage for a given area or community inch up above 95% of capacity, utilities may begin purposely creating brownouts. If the condition worsens and further brownouts will not free up enough energy, the next utility choice is to create redouts. See redout, undervoltage. AC and dataline surge suppressors re-direct, or shunt, surges present on AC and datalines out to safe electrical grounding systems. See suppressor. Describes an ideal waveform with a smooth arcing alternating waveform. All products using AC power are designed for use with sine wave output. 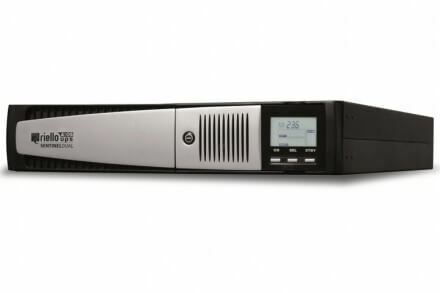 Many high-end line interactive and online UPS products provide sine wave output at all times. See square wave and PWM sine wave. Power protection products that are single phase, meaning they protect or pass power with a single AC waveform present. Long-range utility transmission power lines carry 3-phase power. See three-phase power. Acronym for Simple Network Management Protocol. A widely used network monitoring and control protocol. Data is passed from SNMP agents, which are hardware and/or software processes reporting activity in each network device (hub, router, bridge, etc.) to the workstation console used to oversee the network. The agents return information contained in a MIB (Management Information Base), which is a data structure that defines what is obtainable from the device and what can be controlled (turned off, on, etc.). Originating in the UNIX community, SNMP has become widely used on all major platforms. Also called an Impulse is a disturbance of the voltage wave form that is less than about 1 millisecond. Voltages can rise to hundreds or even thousands of volts in a very short period of time. Describes an alternate AC waveform to sine wave or PWM sine wave. Considered by many to be the least desirable waveform for critical computing applications. Rather than the smooth arc typically associated with a sine waveform, a square waveform is entirely rectangular and may provide a challenge the operation of certain sensitive pieces of electronics when used continuously or for long duration. Before 1990, many standby UPS systems available provided square wave output in battery mode. Certain lower end power inverters still offer square wave output. See PWM sine wave and sine wave. A UPS that passes line power straight through to the output when conditions are stable, but switches to battery power when line voltage drops near 100-105 volts. A basic UPS type typically used to protect home computers and computer workstations. 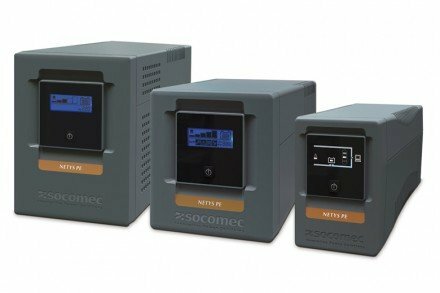 A power protection device able to recognize surge conditions and reacts by shunting excess energy away from equipment and out to the electrical grounding system. A short term voltage increase that exceeds established upper limits for several cycles or more. Often confused with Spikes or Transients which last less than 1/2 cycle. The portion of a PC, Workstation, Server or other computing device that converts incoming AC power to the various DC voltages required by the internal components within the computer. Switching power supplies were incorporated into early PC designs due to their ability to withstand short duration losses in power of up to 100-200 milliseconds without rebooting computers. This is so because switching power supplies do not pull power continuously. Instead, they pull power in "gulps" several times per second. Acronym for Transmission Control Protocol/Internet Protocol. TCP/IP was developed by the U.S. Department of Defense. TCP/IP is a language governing communications among all computers on the Internet. TCP/IP is two separate protocols, TCP and IP, which are used together. The Internet Protocol standard dictates how packets of information are sent out over networks. IP has a packet-addressing method that lets any computer on the Internet forward a packet to another computer that is a step (or more) closer to the packet's recipient. The transmission Control Protocol ensures the reliability of data transmission across Internet connected networks. TCP checks packets for errors and submits request for re-transmissions if errors are found; it also will return the multiple packets of a message into a proper, original sequence when the message reaches its destination. Electrical power supplied on three separate outputs with a phase difference of 120 degrees between any two of the outputs. Three-phase power is usually what's delivered to the service entrance of a building from the electrical utility. At the panel, the three phases are split into three single-phase legs. 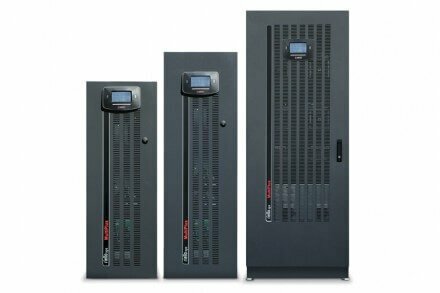 Large panel mount and multi-kVA UPS systems exist that function with three-phase power. The ratio of the root-mean- square of the harmonic content to the root-mean-square value of the fundamental quantity, expressed as a percent of the fundamental. Typically a supply sine wave is considered acceptable when THD levels are 5% or less. See harmonics, harmonic distortion and distortion. The time it takes to switch from AC line power to battery power. A device used for changing the voltage of an AC circuit and/or isolation in a circuit from its power source. Synonym for surge. See surge. When used to describe a specific type of long duration variation, refers to a measured voltage having a value at least 10% below the nominal voltage for a period of time greater than one minute. Under voltages frequently occur during air conditioning season due to peak power demands and may last only minutes or several hours, days or months in duration. An acronym for Uninterruptible Power Supply. Any device that provides continuous, acceptable power to its dependent loads no matter what is (or is not) coming in on the commercial utility's power lines (within limits). See standby UPS, line interactive UPS & online double conversion UPS. Refers to the feature that allows the battery of a UPS to be changed easily, without the need for disassembly of the unit. Short for Unshielded Twisted Pair cable, UTP cable is a popular type of cable used in computer networking that consists of two shielded wires twisted around each other. Abbreviation for Volt Amps. The unit of measurement of apparent power. Most UPS systems are rated in volt amps. Actual wattage is typically 60-70% of this figure. See formulas, watts, amps, and power factor. A unit of measure for voltage. Voltage is electrical pressure that forces current to flow in a conductor, such as a wire. A circuit that has a constant output voltage when the input voltage fluctuates. The unit of measurement of apparent power. A unit of measure for true power consumption. Watts = VA divided by Power Factor.